Research shows that when it comes to emotional health, goals can be achieved by consistent connection with a behavioral health consultant. Support must be meaningful and provide accountability. But it doesn't necessarily have to take up too much of your time. Brief Counseling is an efficient, proven approach for doing just that. It's meaningful, powerful support for tackling those very real, or even downright difficult, challenges in life. Far more than just a trendy buzz word, “brief counseling” is a term for a type of counseling services provided by One Community Health that strives to be efficient, personalized and specific in terms of the approach. Through brief counseling services, our behavioral health providers work with patients to create a care plan that identifies and supports their unique strengths to help build solutions and make meaningful change. In short, the goal of brief counseling is to improve overall daily functioning by focusing on solutions, motivation, life-style change and social support. Brief counseling also helps patients build resiliency, resolve or reduce symptoms, and learn real-world skills for managing everyday challenges. Brief counseling services are typically 30 minutes in length, usually spanning between three and 10 total visits. Patients who are short on time–perhaps visiting us during a lunch break—appreciate that the visit is short but powerful in terms of what can be gained. Research shows that many people will feel an improvement and reach their goals in fewer than 10 of these 30-minute visits. And should additional needs for behavioral health support surface? We will work to facilitate a referral to the many skilled specialty mental health service providers in the Gorge community. 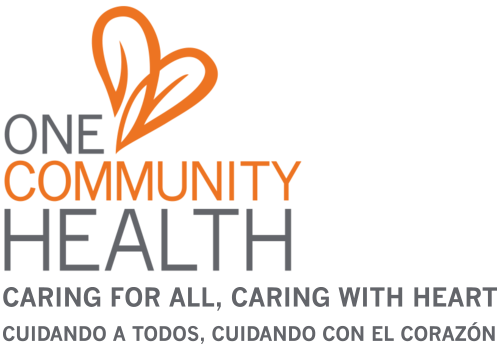 One Community Health’s integrated approach to health care is just that—“integrated.” It focuses on prevention, early intervention and patient empowerment by uniquely providing these services in the same setting as dental and medical care. This makes it more comfortable and easy for all patients to access our behavioral health support. It reduces the social stigma often associated with receiving mental health care. And it also sends the message to patients that behavioral health needs and concerns are connected to our physical health and wellness, be it dental or medical—or both. With this this model of integrated care, patients receive immediate behavioral health support and resources through the cooperation of our behavioral health consultants and other members of our health care team. Our behavioral health consultants are available onsite to step into a medical or dental exam rooms to address mental health, substance use and any stress that’s related to medical conditions or procedures. Want to learn more about your own emotional health? Click here for a quick online assessment — a free 3-minute test for depression, anxiety, bipolar disorder and PTSD.